Do you struggle with managing citizen requests and inquiries? Are you missing opportunities to connect with your citizens because you are not taking advantage of social media, mobile, and other channels? Do inefficient communication methods slow you down, causing duplication of effort and delaying resolution? Citizen Engagement enables you to strengthen your relationships with your citizens by keeping them informed and involved in government affairs. Today, they demand to be kept in the loop, and their feedback can help you make better informed decisions. Citizen Engagement can help you track, report on, and take action on this vital information. In this webinar, Mike Hammons, Director of Customer Experience and the BI Practice at AKA Enterprise Solutions, presents a detailed overview of how AKA’s Citizen Engagement Solution, particularly Power BI, effectively manages citizen requests from inquiry to resolution. 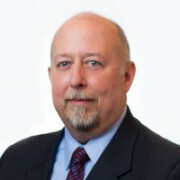 Mike is highly experienced in customer relationship management, social media, business intelligence, and mobile strategy. He applies his unique experience and insights on using technology to help transform your business in the digital age and empower you to jumpstart your ideas.